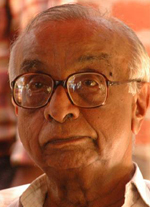 K V Surendranath(May 1925 - Sep 2005) was freedom fighter Trade Union/Communist leader, 1. 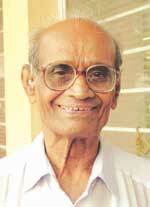 Ravi Varma gold medal for first rank for BA (Hon) in Philosophy, MLA (Nedumangad in 1980, 82,& 87. And MP Lok Sabha (Thiruvananthapuram) in 1996. Travelled to Kailas and man sarovar (June 1988) and wrote a travelogue: “Lokathinte Mukal Thattiloode”. 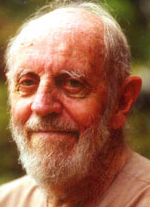 He was an environmental activist and founder member and founder secretary on the foundation. Dr. K.N Raj, national professor, member planning commission, vice chancellor Delhi university, founder director of centre for development studies Thiruvananthapuram and founder member and Founder President of the Foundation. KR Varma, was an expert in Finance and Accounts and was the first Treasurer of the Foundation. Shri. 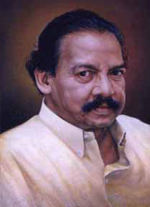 K M Mathew, former Chief Editor of Malayala Manorama daily, was Treasurer Hon. Chairman and Patrient of the Foundation. He has donated Rs. 1 lack for the first C. Achuthamenon National Award presented to Dr. Krishna Bharadwaj for her book in leading Economist. Sri. Laurie backer a British National settled in Kerala was an architect who promoted low cost housing through cost ford, a voluntary organization founded by him along with C Achuthamenon and others. 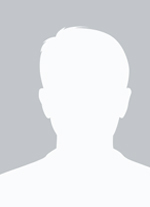 He was the founder member and the Founder Vice President on C. Achuthamenon Foundation. Dr. K.N Pie. , famous doctor teacher, Principal Govt. Medical College Thiruvananthapuram and the author of the Pie committee report on improving the health sector in Kerala. He was the founder member and founder Chairman of the Achuthamenon Foundation. Shri. 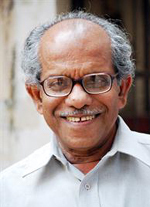 S Sharma ( Sharmaji), Communist leader environmental activist one of the founders of ISCUS, and AIESO, and founder member of Achuthamenon Foundation. 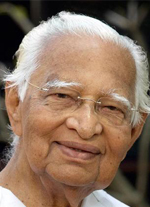 He was Private Secretary to shri, EMS Namboothirippad, the first Chief Minister of Kerala in 1957. Shri. Malayatoor Ramakrishnan(May 1927 - Dec 1997)., Communist fellow travellor, able IAS officer , Novelist, Short story writer and Member of the Four Member Task Force of the foundation which organized the preliminary activities. Shri. C. K Chandrappan, son of the vayalar hero C K Kumarappanicker, Communist leader, member of Parliament, Alappuzha and Trissur, State Secretary of Kerala unit. Founder member and later President of the Foundation.